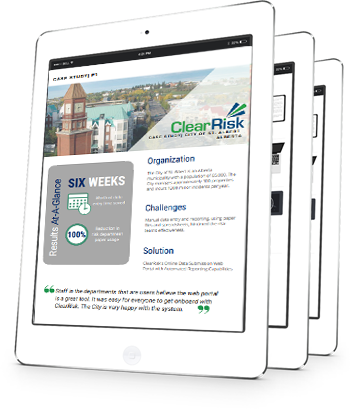 Learn how the City of St. Albert saved over 6 weeks of annual data entry by migrating to the ClearRisk system. 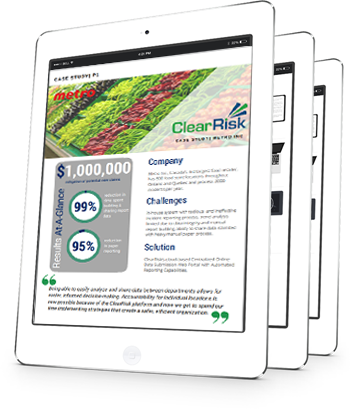 Find out how Metro Inc. mitigated over $1,000,000 in potential new claims and reduced time spent reporting and communicating data by 99% using ClearRisk. 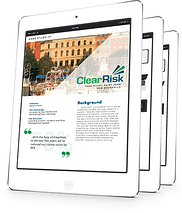 Discover how the City of Saint John saved hundreds of hours in data entry work and 50% of their claim costs by implementing ClearRisk's system. 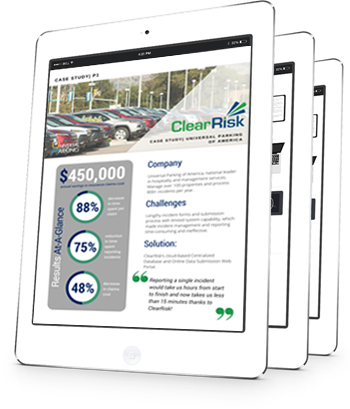 Learn how Universal Parking was able to reduce their claims costs by 48% and realize an annual savings of more than $450,000 using ClearRisk. 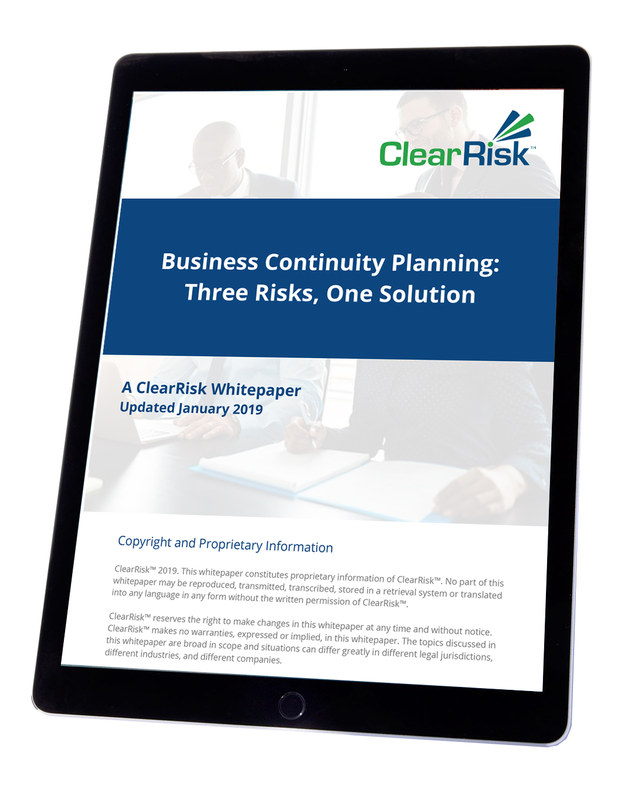 Managing the three risks described, this whitepaper proposes the business continuity planning solution. 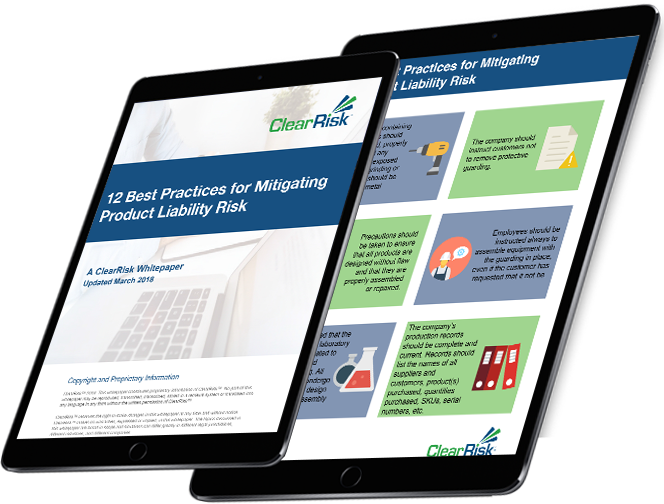 Revenue loss, additional expenses, and intangible losses are common risks threatening organizations. Avoid risks by implementing the business continuity continuity plan. 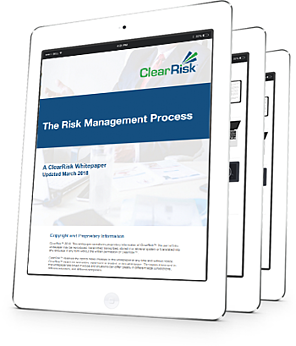 There are five steps in the risk management process. 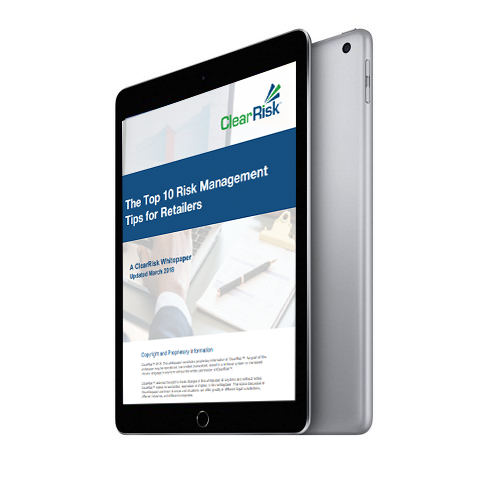 What are they, how can they help you, and what specific procedures are necessary to move towards a full risk management plan? 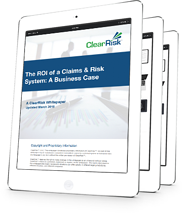 If you have a moderate to high frequency of incidents and claims, you need a Claims and Risk System (CRS). But, at what cost, and what’s your return on investment and payback period? What makes a CRS right for your business? Good risk management is composed of formalized procedures, policies, and actions. These elements all work together to build an organization that is better able to react to change and unanticipated events. 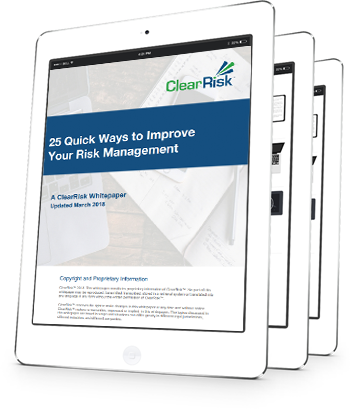 Read 25 simple tips that will allow you to improve your risk management strategies today. Every business that owns, rents, or is otherwise responsible for property owes a duty of care to every person that enters those premises. 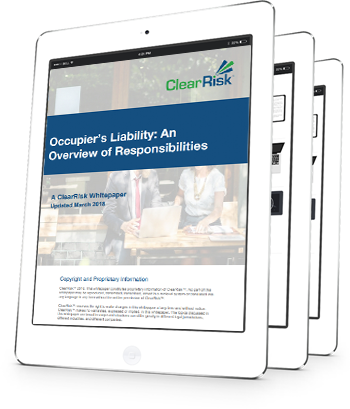 Being found negligent as an occupier can have extensive repercussions on a business. Are you taking the necessary precautions to protect your organization from these damages? 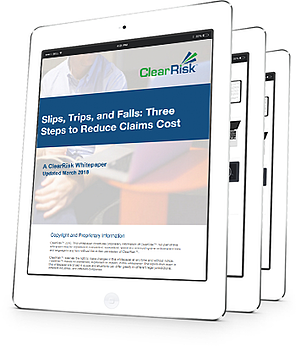 Slips, trips, and falls are a common cause of liability claims affecting organizations, especially retailers. These occurrences can range from minor incidents to major claims that can involve multi-million dollar lawsuits. Are you taking any precautions to reduce the frequency and severity of these events?